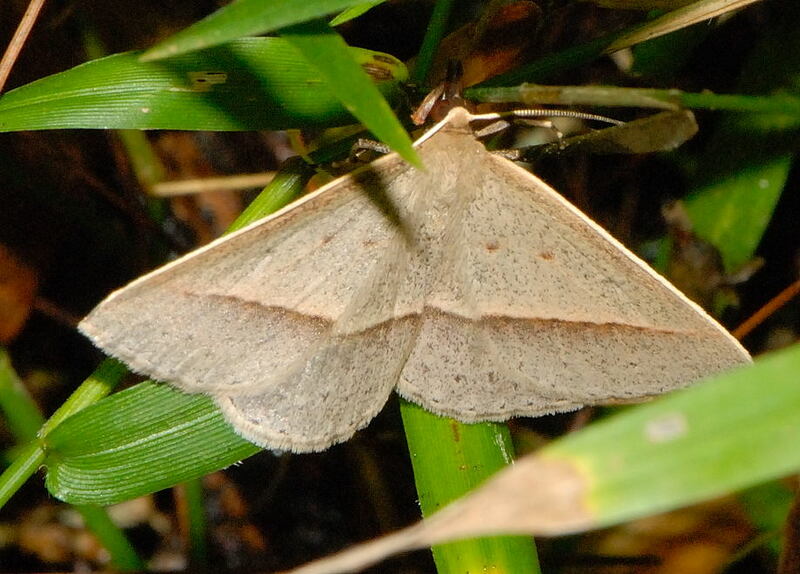 This page contains information about Triangular Geometrid Moths that we found in the Brisbane area, Queensland, Australia. 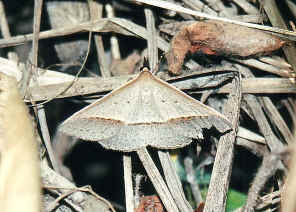 Their caterpillars feed on gum tree and bottlebrush leaves, brown in colour with some white spots and resembles twig. The moths like to rest on ground among dry plants materials. 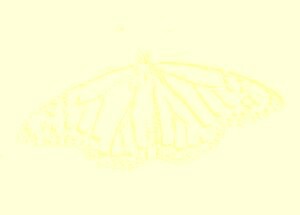 They have the long labial palpi which pointed in front of the head. This moth is quite common in Karawatha Forest. 1. Epidesmia chilonaria (Herrich-Schaffer, ) - Don Herbison-Evans & Stella Crossley, 2011. 2. Moths of Australia - I. F. B. Common, Melbourne University Press, 1990, p370. 3. 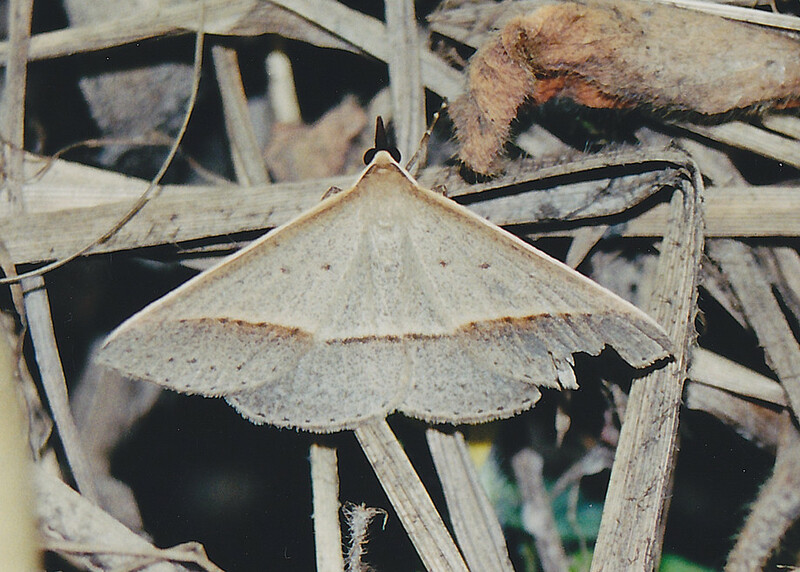 Flying Colours, Common Caterpillars, Butterflies and Moths of South-Eastern Australia - Pat & Mike Coupar,1992, p45.